Free Home Purchase Loan Quotes. Good and Bad Credit Scores are allowed! Veterans and active military borrowers are the last Americans eligible for 100% home financing options with VA loans. You do not need money for a down-payment if you qualify for a 100% VA mortgage. 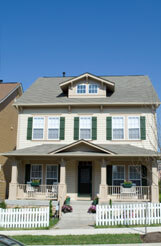 Our VA lenders specialize in no money down home purchase loans so people can stop paying rent and become homeowners. We offer from 3-4 competing home financing loan specialists from across the country. The main advantage of this type of loan, also known as 100% home financing, is the ability to buy a home with almost no money down. First time homebuyers need all the money they can save because of new home costs like landscaping and buying new furniture. All our home financing specialists are dedicated to finding the right home loan with the best refinance rates, terms and costs. Take advantage of low interest incentive for new homebuyers with cost effective home loan offers that can help you buy your first home. VA Refinancing available with no equity! If you have a strong credit profile but have limited funds to commit to a down-payment, then 80/20 mortgage is just right for you. Lenders typically require a down-payment of at least 20 percent of the purchase price. If the loan amount is for more than 80 percent of the purchase price, private mortgage insurance (or PMI) is usually required. You can avoid paying PMI by getting a second mortgage ('piggyback loan') to back up your first mortgage. The first mortgage is provided for 80 percent of the cost of the home and the 'piggyback' second mortgage is for the remaining 20 percent. The 80 percent first mortgage can be a fixed-rate (15-year or 30-year), adjustable-rate (usually 5/1, 7/1 or 10/1 fixed period ARM) or interest-only loan. The 20 percent second mortgage can be a home equity line of credit that changes with the prime rate. Combined, the two loans allow you to purchase 100% of your home with no money down. Target marketing is a popular technique, but it can lead you astray if you're not careful. Here are some useful tips on how to market to a niche without breaking the law. When planning your marketing strategy, be sure not to base your marketing decisions on prospective clients' membership – or non-membership – in any of the classes protected by the federal Fair Housing Act or by your state or local fair housing laws, according to the just-released third edition of Real Estate Brokerage Essentials: Managing Business and Legal Issues , published by the NATIONAL ASSOCIATION OF REALTORS®. Some examples: Don't focus only on Hispanic buyers, to the exclusion of African Americans, Asians, or Caucasians. Don't market your services only to Christians, to the exclusion of people of other faiths. Don't place your listings only in newsletters designed to reach seniors, to the exclusion of families with children. The rule not to market on the basis of membership in a protected class applies even if the protected class is one the real estate professional belongs to. In general, you'll usually be safe if you niche market in accordance with the rule for composing ads for properties: Focus on the property's characteristics, not those of the prospective buyer or tenant.